The decision has properly been taken, in our Parliament, to reclassify cannabis. This will result in the effective roll out of the Lambeth trial, in its key aspect, across the nation. Democrats will expect the police to implement the letter and spirit of the revised statutes and responsible citizens, their representatives and the media, to support the police in introducing these changes in a safe and orderly way. 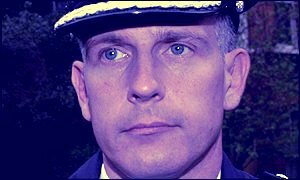 The people of Lambeth gave, overwhelmingly, their support to Commander Paddick and the Met to run the trial. In doing so they provided a service to the wider community. But there has been a cost. Not in terms of the mythical, intoxicated school children or charabancs laden with drug tourists, but in terms of the damage to our trust and confidence in the authorities’ ability to fairly conduct such a trial. There has also been a cost in terms of the divisions that the trial has been introduced in our community, distracting from the key issues of killer drugs and the crimes associated with them. The cannabis trial exposed sincerely held, and passionately felt, opposing views on drugs legislation and policing within our community. The argument has been conducted in the glare of the media, often with unequal access, and sometimes to the damage of Lambeth’s reputation. But now a decision has been reached in Parliament, and it is unlikely that the issue will be revisited for some time. It is important for Lambeth to learn all that is to be gleaned from the trial and move on. Most importantly, it is time to find a common purpose on which to focus the passion and energy which the issue has raised. This purpose should be to rid our community of crack, heroin and guns. Savings in the Criminal Justice System. There have been reports that in the first six months of the trial, over £4m was saved in court time. How has this time been redeployed - in speeding up the processing of young offenders, for example. The “softer” benefits to the police in terms of relationships with the community, especially with young people no longer criminalised for cannabis possession. The evaluation should also draw clear lessons for best practice in communicating, to the community at large, changes in policing policy. The brief for the evaluation should include dissemination of the results to the people of Lambeth, explaining the issues and answering questions. This should include at least one face to face, public session. It might also use the council’s free sheet and the internet.